With all the gloom and doom surrounding the state of our oceans, it's great to have a good news story occasionally and Cabo Pulmo is one. 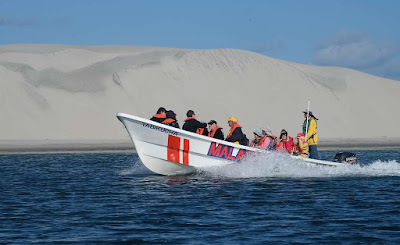 This is the first real port-of-call for our Lindblad – National Geographic expedition with the Sea of Cortes, an area regularly visited by Lindblad since the '70s. 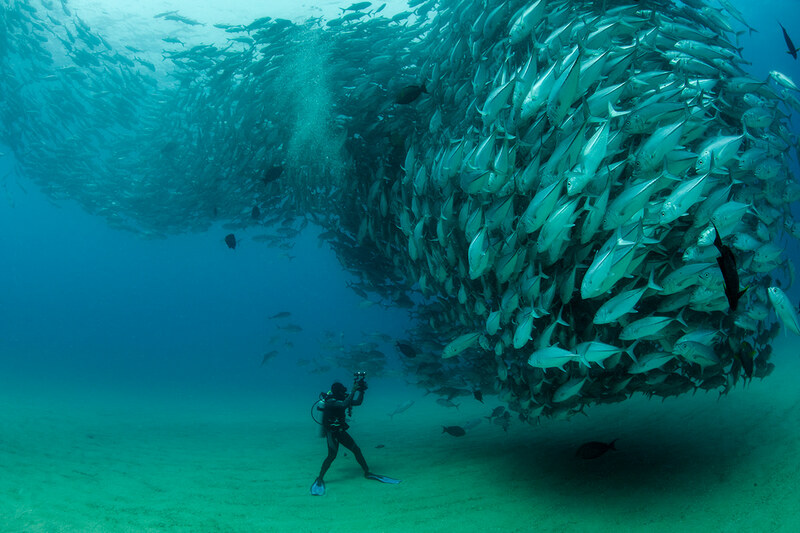 Even within the vast Gulf of California, Cabo Pulmo has its own story to tell. Despite being an abundant resource of fish for many years, by the 1990s Cabo Pulmo was exhausted, its fish stocks reduced to a few scattered individual medium sized fish. 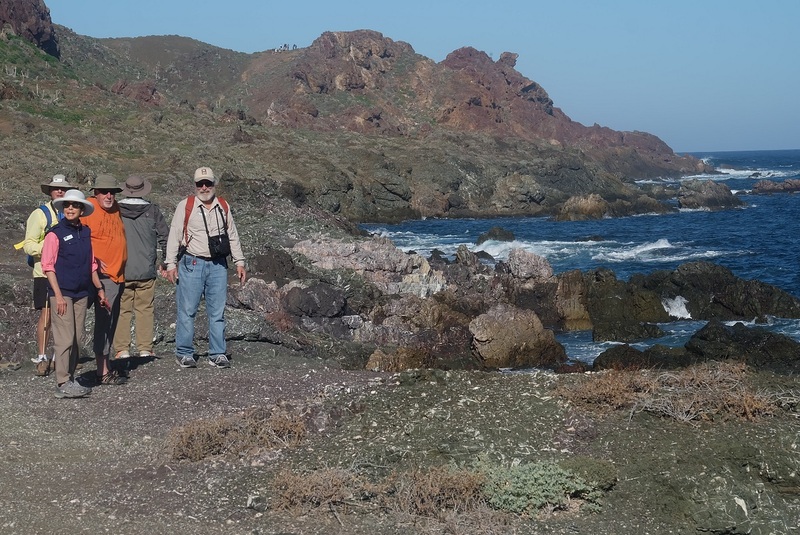 Locals and scientists including Aburto and his colleague Dr Enric Sala, were able to get Cabo Pulmo declared a Marine Protected Area (MPA) and in 1999 they began a detailed survey. Just ten years later, the results were astounding. "The study's results are surprising in several ways," said Aburto. 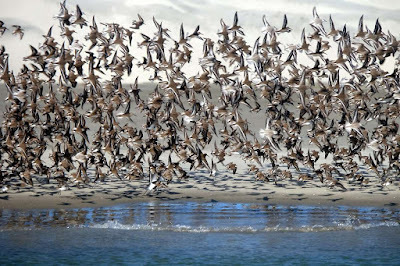 "A biomass increase of 463 per cent in a reserve as large as Cabo Pulmo (71 square kilometres) represents tons of new fish produced every year. No other marine reserve in the world has shown such a fish recovery." Aburto's now famous photograph entitled 'David and Goliath' was taken after many years of visiting Cabo Pulmo and shows the giant shoal of jacks that divers from all over the world now come to see. On our excursion from Venture, we snorkelled in the reserve, visiting a small sea lion colony and seeing first hand some of the fish recovery. 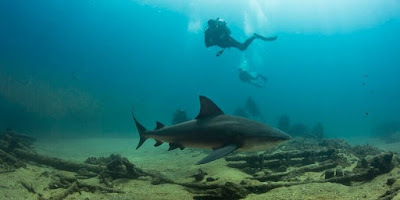 Nothing as dramatic as Octavio's image or our own undersea specialists who went in search of the legendary bull sharks which inhabit the wreck of El Vencedor, a tuna boat sunk in the 1980s and now a key dive site for recreational divers. Our fabulous journey concludes tomorrow in La Paz. One of the world’s most spectacular voyages, rail journeys and celestial light shows are among the highlights of a winter cruise tour to Norway in 2020. 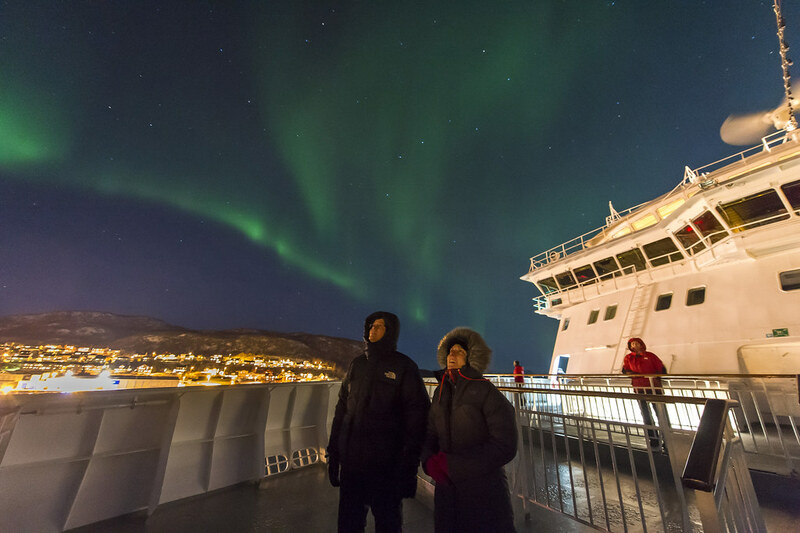 Cruise Express’ exclusive, 15-night ‘Northern Lights of Norway’ tour features a Hurtigruten voyage along the wild, fjord-studded Norwegian coast, billed as one of the world’s most beautiful sea journeys. The picturesque Flam Railway train ride is another highpoint while the ‘star’ of the itinerary is the chance each night to witness Norway’s famous Northern Lights – the Aurora Borealis - which swirl across the skies. The journey begins on January 25, 2020, with a flight from Australia to Norway’s capital, Oslo, for a two-night stay including a welcome dinner on Australia Day. After a tour showcasing Oslo’s Viking heritage, guests board a train bound for Norway’s famed fjord country, with overnight stays in Voss and Bergen. The pictureque Flam Railway train will take passengers through a winter wonderland of snow-capped peaks, iced waterfalls, wild rivers and brooding pine forests. A half-day cruise through two spectacular fjords –Naeroyfjord and Aurlandsfjord – is also included along with a walking tour along Bergen’s colourful waterfront. Guests then board Hurtigruten’s coastal ship, ms Kong Harald, for a six-night voyage north from Bergen and across the Arctic Circle. Named after the king of Norway, the ship serves as a passenger, freight, mail and car service for isolated Norwegian towns along the coast. From the decks of the ship, passengers can take in huge glaciers, snow-clad mountains and picture-postcard villages clinging to the coast. After rounding North Cape, the voyage ends in the remote town of Kirkenes near the Russian border where guests will stay in a hotel made of snow, see reindeer, join a husky sled ride and scour the heavens for the Northern Lights. The tour ends with a flight back to Oslo for a night before flying back to Australia. Including return flights from Sydney, Melbourne, Brisbane, Adelaide or Perth, the 15-night ‘Northern Lights of Norway’ package is available from $8590 per person, twin-share, or from $10,490 for solo travellers. Coral Expeditions officially launched their new vessel, Coral Adventurer, into the ocean on 8th December 2018. The float out ceremony, which involved two days of relocating the vessel from yard onto the floating dock, was a key milestone for Australia's pioneering cruise line, Coral Expeditions. "Excitement was at a real high with Coral Adventurer now officially in the water and her delivery drawing nearer," says Mark Fifield, Group General Manager Coral Expeditions. "To date, the construction project has involved expertise from across the world with over 800 workers involved. We were delighted to be joined by over 200 shipyard staff who celebrated this special moment with us, for whom Coral Adventurer build has been a labour of love over the past 11 months." Also at hand were specialists and designers involved in the installation of all interior furnishings including the wood panelling, feature stonework, stateroom fit out and the ship's public areas. With her build firmly on track and on time, Coral Expeditions expect no delays preparing their fourth vessel for her sold-out maiden voyage in April 2019. 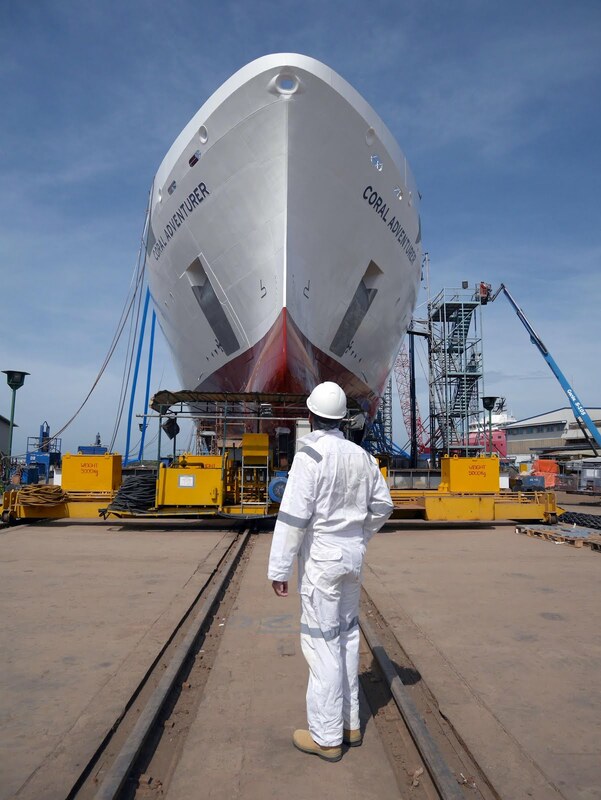 Sea trials will commence in February, handover in late March, followed by shakedown cruises in April. 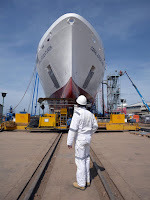 Her official launch will be celebrated in Singapore on April 23rd 2019 before she enters service on her first 18-night departure 'In the trail of Tasman'. The vessel will then arrive for the first time in Australian waters for an official welcome in Darwin on May 13th 2019. 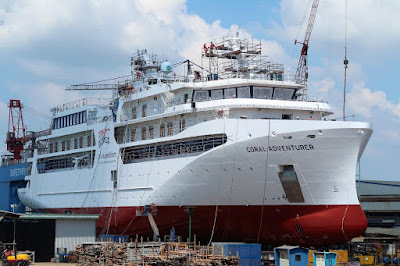 The 120-passenger Coral Adventurer has been specially designed by Coral Expeditions, marrying the company's 34 years of experience building and operating expedition ships with the latest advances in marine and environmental technology. The ship's lightweight dual Xplorer expedition tenders, a trademark feature of all Coral Expeditions vessels, will extend the capabilities of the ship by allowing fast transit for all passengers with open views on shore excursions and deeper exploration into rivers and beaches. A new multi-purpose space, the Barralong Room, will host interpretive activities and projects that connect guests in an engaging format throughout their voyage experience. Fifield continues: "Coral Adventurer has received a positive response from the market with extremely strong forward bookings and charter interest," said Fifield. "We have had an overwhelming response to the recently launched 60 day 35th Anniversary Circumnavigation of Australia, which is nearing capacity after only two weeks in the market and this instils great confidence amongst our team and stakeholders to action further fleet development into the future." 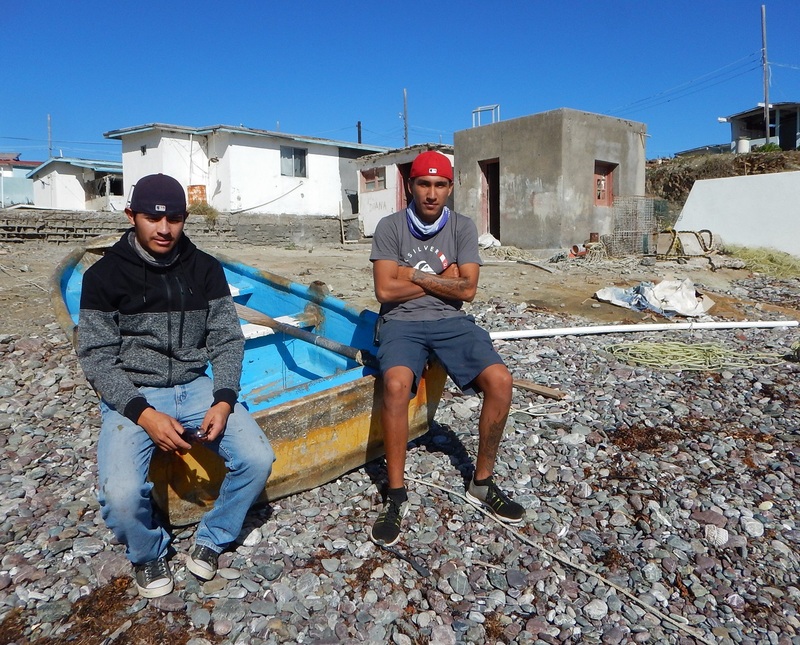 They might look like a couple of scruffy teenagers you could see hanging around the mall, but Ismael and Arturo, along with their boss, Jose, are real-life pirate hunters. Here on the tiny island of San Benito, they must protect their most valuable resource: abalone and lobster. And in doing so, they often encounter more than just poachers. The boys patrol their pots with 'pangas', open fibreglass boats powered by outboard motors typically of between 60-120hp. 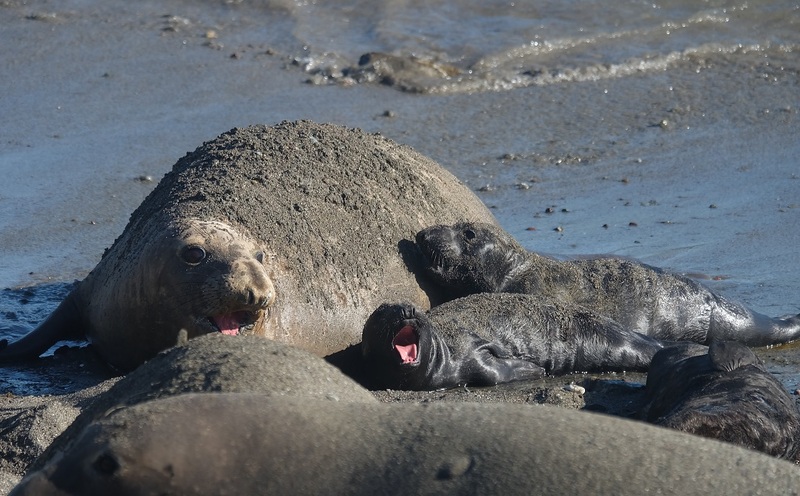 The fishing and seafood harvest around Benito is particularly good, hence the small but healthy populations of elephant seals and sea lions. The boys come over from the main island of Cedros (pop. 2500) and occupy a small 'village' in shifts of a couple of weeks at a time. A good season will yield 120 tonnes of lobster and 24 tonnes of abalone, the majority of which is exported alive to Asia. During their patrols, it's not uncommon to see foreign boats. Everyone knows everyone on Cedros, so it's easy to spot an intruder. And on one such occasion, they did. Another panga of unknown origin was paying way too much attention to their pots and the boys gave chase. Fortunately, our lads had the more powerful outboard and were able to run them down, but they would not yield. In order to bring the chase to a rapid conclusion, the intruders were rammed resulting in one of the fugitives sustaining a leg injury when he fell into the propeller. Money was also found aboard and the injured pirates were handed over to the police. Life is not always so exciting and mostly the guys just do their work, but they are also keen to work with conservation bodies to protect the seals and seabirds who inhabit the islands. The elephant seals, for example, were hunted to the brink of extinction. We visited the beach where the pack of a dozen or so animals were hauled out and observed a batch of very new pups squealing and squawking for mum's milk. Seems a mother's work is never done. Our journey continues south to Magdalena Bay. 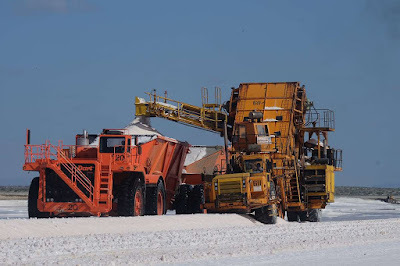 The sight of these massive machines had me humming the Thunderbirds tune as the massive orange prime movers with 3m wheels and triple trailers rumbled past, overflowing with their load of sea salt. The Laguna Ojo de Liebre is a huge lagoon located within the Vizcaino Biosphere Reserve UNESCO World Heritage site adjacent to the largest salt works in the world, producing in excess of 7 million tonnes per year from 33,000 hectares of tidal evaporating pools. 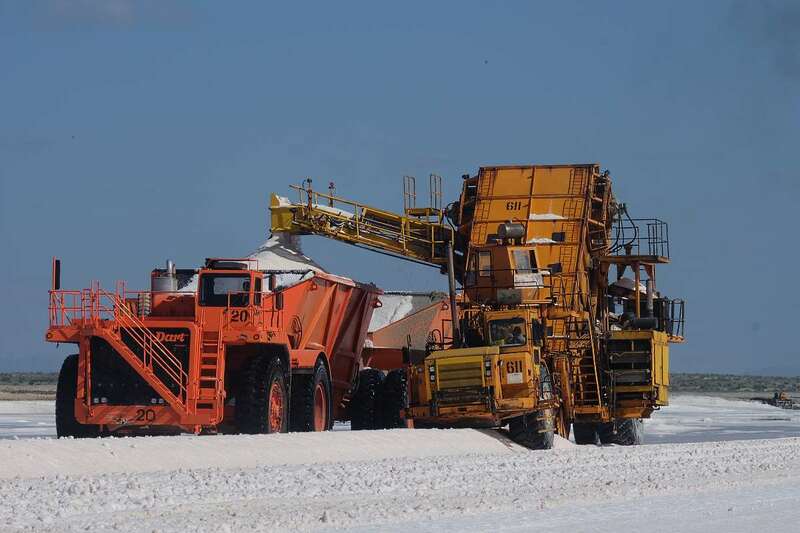 But in all honesty, it's not the salt-making that is the attraction for Lindblad Expeditions. The huge lagoon was for thousands of years at least, a calving refuge and nursery for the gray whales who would head here for winter vacation. Of course, with such numbers congregated in one place, they were hunted to the brink of extinction but have been totally protected in Mexican waters now for more than 70 years. 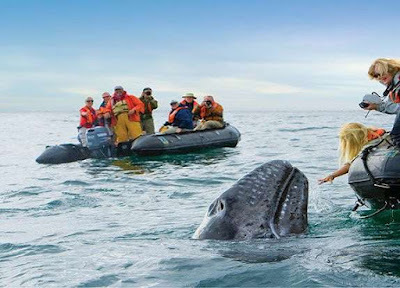 Right now, in mid-December, we are way too early for the gray whales who are celebrated locally in an arrival festival every February. The shallow lagoon is an attractive refuge because predating Orcas will drown the calves in the open ocean, so the young cetaceans are relatively safe in these protected waters. But the populations, despite rebounding from their critical lows 100 years ago, still face numerous threats besides the frighteningly efficient Orcas. 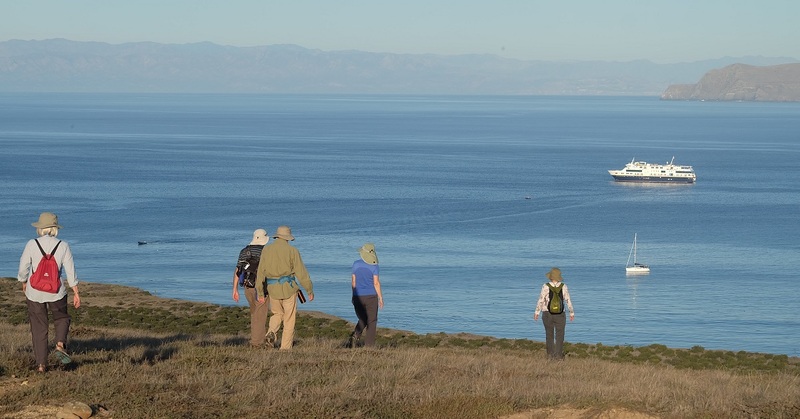 Pollution, radioactive spill and naval sonar are all significant health hazards for the gray whales. And yes, they are still hunted in Russia. “A cause for concern recently is the mortality sustained by the species on its migration route and in the winter breeding areas and the decline in newborn calves,” says the WWF. So the grays are not out of the woods by any means. 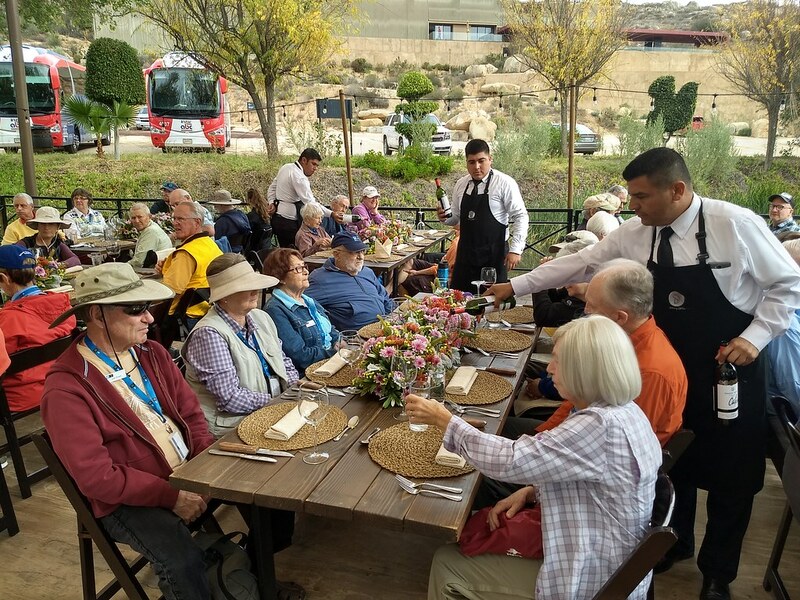 We wrap up the day with a terrific lunch at Malarrimo, a local restaurant, before heading out to see a Lindblad-supported wildlife program where critically endangered Pronghorns (a type of antelope) are being bred in captivity with considerable success. Our journey continues south to Isla San Benito. 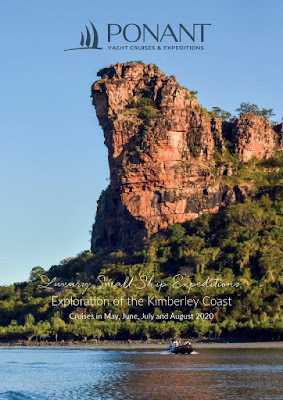 2019 is the inaugural Kimberley season for the first of six new Explorer class ships currently under construction for PONANT, and the attraction of visiting this pristine wilderness onboard the most eco-sensitive of vessels in the region is an attractive proposition. 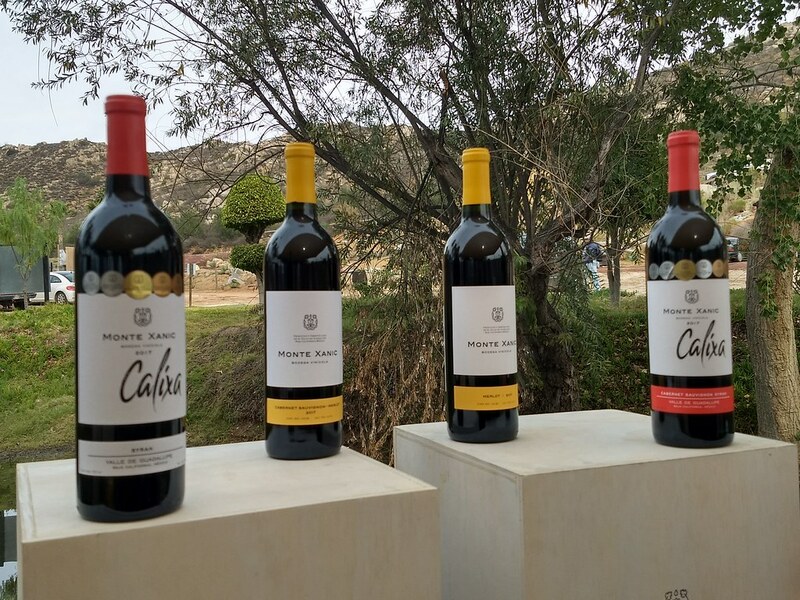 If someone were to ask you what you knew about Mexican wine, what would you say? I know my answer would be “I give up!” Sure, we all know about Mexico's most famous drink, Tequila, but what about Chenin Blanc, Colombard, Grenache or Syrah? 135 nautical miles south from Los Angeles is Ensenada, the first settlement in the region, founded by the Spanish in 1542 as San Mateo. 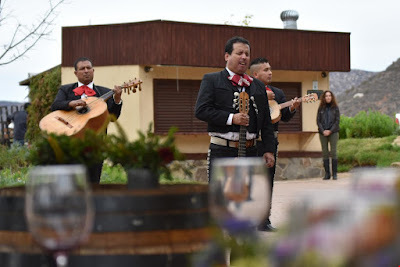 Some 30 miles from the port is the region now dubbed 'Mexico's Napa Valley' by some clever spruiker and is full of vineyards in a dry terroir that gets bloody hot in summer. We head to Monte Xanic, one of the first of the 100-plus wineries now in the valley, but still just 30 years old. They've won lots of awards and take their winemaking very seriously, exporting 60,000 cases of fancy wines annually. We take a tour of their winemaking facilities and cellar and, of course, give their products a thorough going-over. The Chenin is delightfully crisp and subtly fruity with not too much acid. Colombard is added at just 2 per cent. 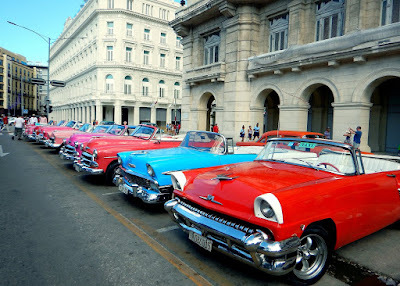 The reds are worthy of note too, and once winemakers from Europe started arriving, the native varieties from France, Italy and Spain have been arriving ever since. All that wine snobbery is fine, but as the morning wore into afternoon, tummies began to rumble and we made our way to the little dam where a large awning was set up for our lunch. Minstrels worked their guitars and migratory waterbirds fluttered and splashed in the pond, much to the delight of the birders. The courses slowly made their way out and the wines flowed. Predictably there were a few sleepyheads on the coach back to the port and a scant showing at dinner, but a great day nonetheless and a surprising diversion from our normal expeditionary fare. 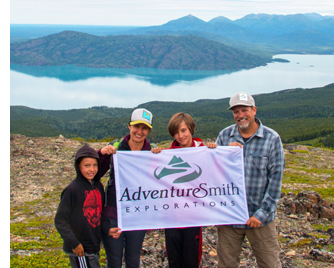 Our journey continues south to Isla San Martin. 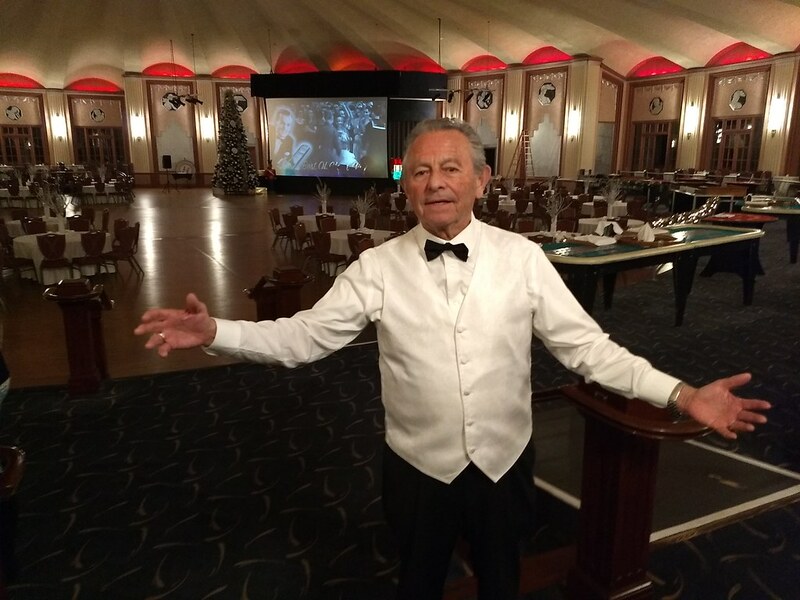 “At 14 I discovered swing-dancing and I've been swinging ever since,” the self-assured 70-something gent tells us. He's clearly something of a hit with the ladies too and insists on dancing with every one, claiming he can teach them to swing dance in 20 seconds. The famous casino at Avalon was constructed by chewing-gum magnate William Wrigley, Jr. as part of a massive infrastructure upgrade after he took controlling interest in the island in 1919. In fact the whole island, in particular the main settlement of Avalon, is pretty much a legacy to this man. Completed in 1929, the largest building on the island stands as tall as a 12-story block and contains an ornate, acoustically perfect movie theatre with a massive pipe organ, the largest circular hardwood dance floor in the world in its ballroom and is covered with murals by John Gabriel Beckman. Interestingly the structure also serves as a civil defence shelter and contains stores and provisions for two weeks. 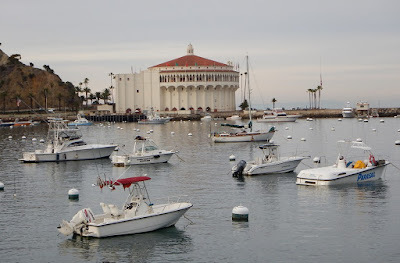 However you look at it, Santa Catalina Island (or just Catalina) is certainly one of the more unusual cruise ship ports. It has a casino where gambling is banned, a herd of bison left behind after a film was shot, almost no cars and was a secret training base in WWII. 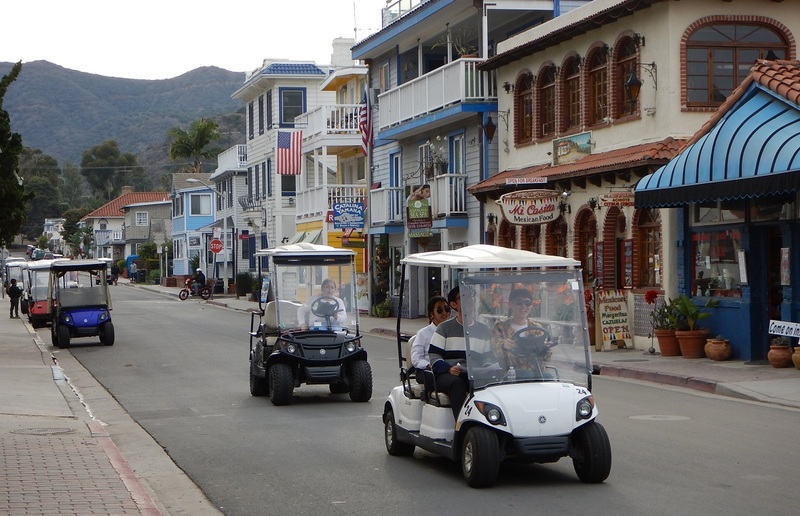 The main town, Avalon, sees 1 million visitors annually and has a Third Street but no First or Second Streets, the Post Office doesn’t deliver the mail and the local cabs deliver for Avalon’s pizzerias. Catalina's connection with Hollywood glitterati is well-documented. The little town of just over 3000 residents is like its own time-warp movie set. It’s been the setting for over 200 movies and associated with names like Marilyn Monroe, Ronald Reagan, Mickey Rooney, Clark Gable, Doris Day, Natalie Wood (who drowned in mysterious circumstances) and Phil Hartman (who was murdered by his wife), while top name musicians Jimmy Dorsey, Woody Herman, Harry James and Benny Goodman regularly played at the casino. In fact one of our beach landings took place at Little Harbor where the MGM art department built an entire Tahitian village for the 1935 big budget production of 'Mutiny on the Bounty' and planted specially imported palm trees and tropical grass. It was somewhat surreal to wander the paths once walked by Clark Gable and Charles Laughton. Little Harbor was also once home to the Pimu Tongva people for some 8000 years until the Spanish landed in 1542 and things went steadily downhill for them until only scattered genetic traces now exist. Our journey continues south to Baja California and Mexico. 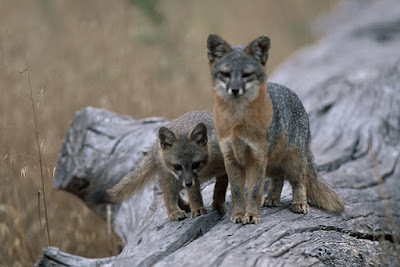 While some like to refer to them as California's Galapagos on account of the world's cutest little fox (Urocyon littoralis) and its six subspecies, the Galapagos connection is pretty thin thereafter. 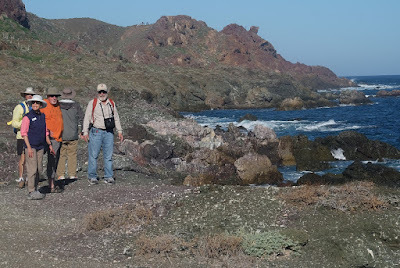 The Channel Islands were formed by uplift as opposed to volcanic and were connected to each other as recently as 15,000 or so years ago leaving around 140 endemic species of plant and animal behind. 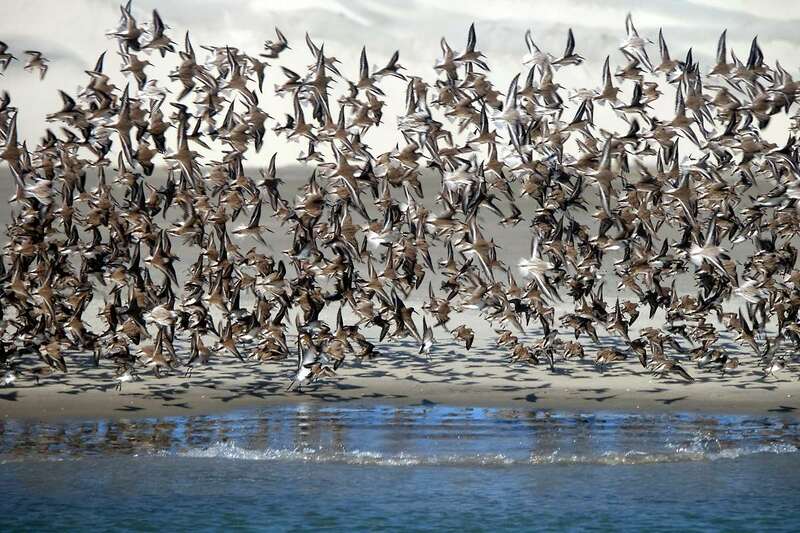 They were once as close as just a few miles from the mainland, making it much easier for life to arrive by the 'wind, wings and water' method of biological dispersal. On top of that, their history of human presence extends right across their existence, first with the Chumash and Tongva Native Americans, then the Spanish, then the current US Americans mainly through ranching and military. The best known of all the islands is in the Southern Group, Santa Catalina, or just Catalina which has a permanent population of around 4000 mainly in the resort town of Avalon. 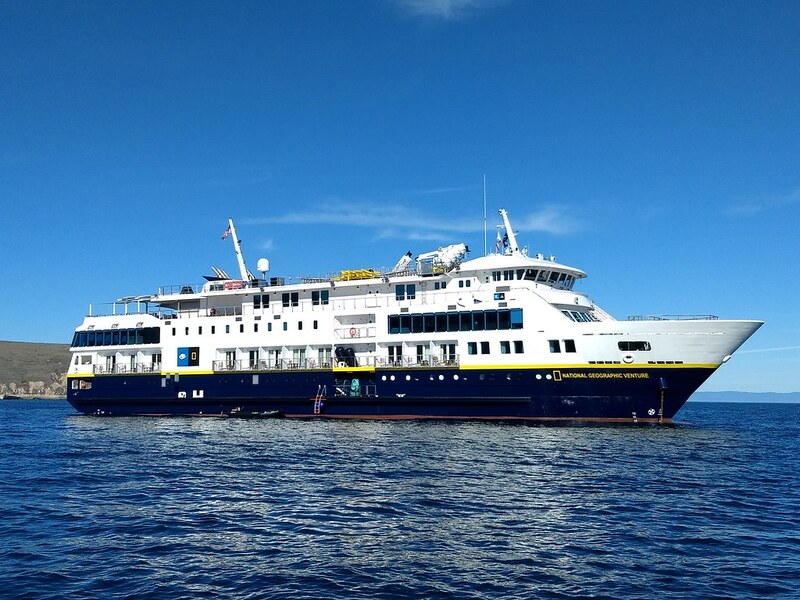 On our first day ashore on the inaugural voyage of Lindblad Expedition – National Geographic's brand new vessel and sister ship to last year's NG Quest, the National Geographic Venture, is here on Santa Rosa in the northern sector. 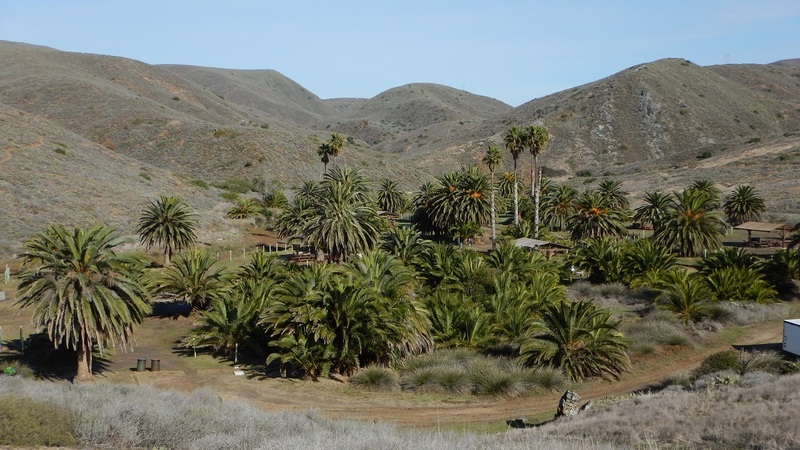 This former ranch has had all non-native mammals removed or eradicated including pig, elk and cattle and a program of conservation and rehabilitation begun by the US National Park Service. A campground has been established and hiking is one of the favoured recreational pursuits along with kayaking. Even so, visitation to the islands generally is still pretty limited, Santa Rosa in particular. 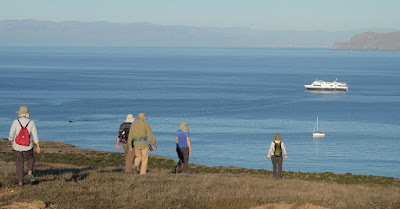 Groups set out on their own with some choosing a relatively demanding hike to see the rare Torrey Pine trees, while I joined a group for a moderate climb and hike around Cherry Canyon. We spotted a couple of the island's endemic birds and even caught a glimpse of the elusive fox which weighs just 4kgs and stands about 30cm high – just 25 per cent of the mainland grey fox it is descended from. As something of an expedition-head myself, it's the in-depth interpretation by qualified experts (with human communication skills) that appeals to me most about Lindblad. 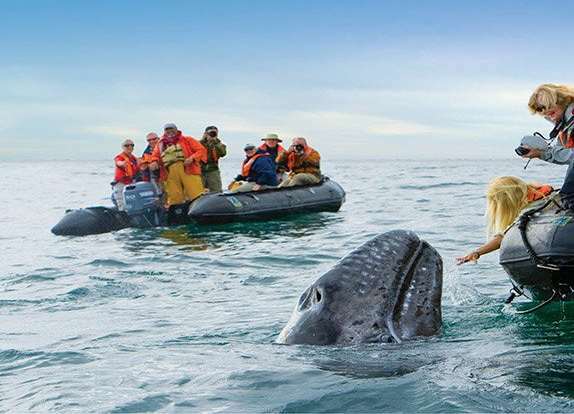 The recent spike in interest in expedition travel has enabled Lindblad to embark on a substantial fleet expansion and the 100-guest NG Venture (as a follow up to NG Quest last year) completes this pair for use on West Coast, Alaska, Mexico and Caribbean itineraries. Our journey continues south to Catalina Island and Mexico.